Now December has ticked over, there’s no escaping it: the festive season has officially begun. One of the highlights of the festive season for many of us is the chance to celebrate Christmas with our work pals. 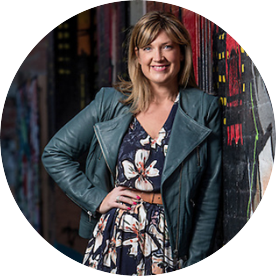 I’ve always loved a laugh and kicking back over a glass of bubbles with the many awesome people I’ve been fortunate enough to work with over the years. After slogging all year long in Professional Land, it’s nice to blow off some steam and have some fun together! This year, I’m off to a long lunch at an Italian restaurant in the city. In other workplaces for Christmases gone by, we’ve gone barefoot bowling, had family picnics in the park, cocktail parties and dancing in bars or even cruises down the Yarra. 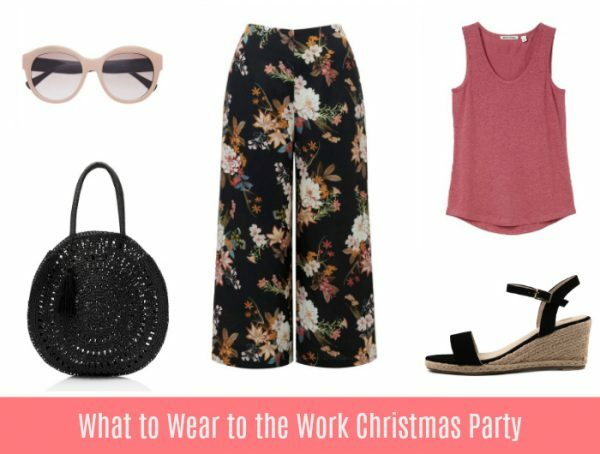 Whatever your workplace Christmas party involves this year, I hope this post gives you some outfit inspo for this (hopefully) fun occasion or perhaps some other festive get together you might have coming up. Oh and if you need ideas for the work Kris Kringle, you might find this post helpful. This first outfit is one I’d wear to a long lunch, a relaxed dinner or even a cruise. It’s kind of a luxed up boho look, with plenty of colour, texture and detailing. EDiE heels in tan, $219.95 from FRANKiE4 Footwear. I adore this fresh shade of tangerine and it’s a perfect canvas for some statement earrings and textured accessories. I’ve selected an inexpensive pair of earrings from Sportsgirl above, but the dressier style in the outfit below would also work beautifully with this jumpsuit. Just add in metallic shoes and accessories. Having shoes I can dance the night away in is a priority for any kind of party and I can personally recommend the EDiE heels in tan. They are on the higher side for me but I find them extremely comfortable and flattering – the effect of the high tan front is to somehow elongate legs. This is always bonus but especially when a jumpsuit is involved. 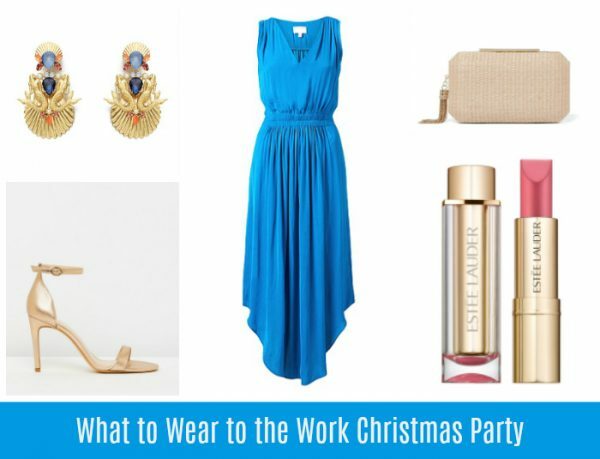 This next outfit is ideal for a dressy or cocktail work function or party situation, with gold accessories complementing this stunning blue maxi. There’s something a bit Greek Goddess about this look, don’t you think? Heels, $79.95 from The Iconic. This dress is such a winner for the party season and can be worn with either heels or jewelled flats for a more relaxed look. It’s also available in a gorgeous raspberry shade as well as cream. If you’d prefer to wear a red dress at this time of year, check out this this $30 winner from Target or if you’d prefer a red printed style with sleeves, I’m loving this Cora Dress in Samba, $119 from Birdsnest. This final outfit is for a more relaxed or smart casual do – say the work family day or a silent disco – where you want to hit some high notes in the style department without sacrificing comfort. Woven Bag, $49.95 from Sportsgirl. I’m officially obsessed with high waisted printed pants and culottes at the moment, and I love to wear them with tucked in tanks or tees to create some shape. These printed culottes were sold out in my local Forever New store but all sizes are currently available online. I’m also very partial to the printed pants over at Gorman – head here to see the range including some brand new prints. A textured, on trend woven bag and wedges with a pair of shades in blush pink complete this brunch to market to picnic look. 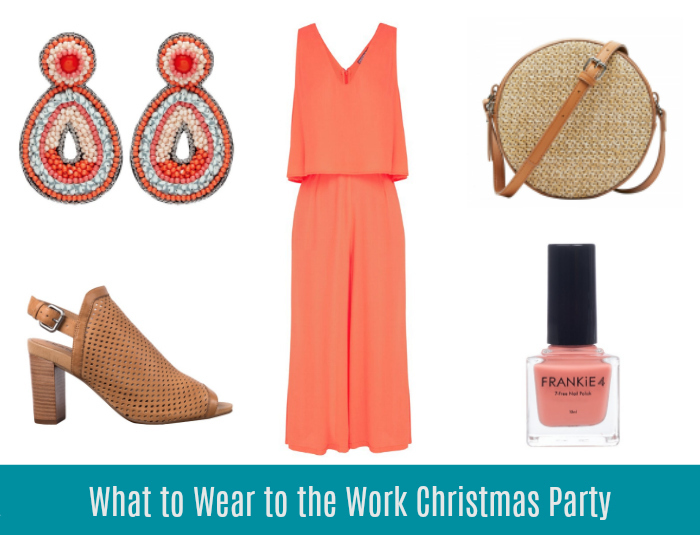 So over to you, what’s happening for your work Christmas party and more importantly, what are you wearing?